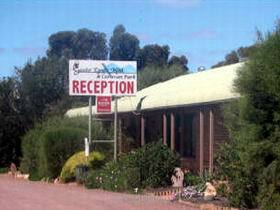 The Gawler Ranges Motel offers three standards of motel accommodation (most with Foxtel), with licenced a la carte dining for up to 45 guests in the Sturts Restaurant. 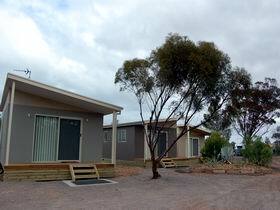 There is also a caravan park with five cabins and an on-site van, plus powered caravan sites and unpowered camping sites. 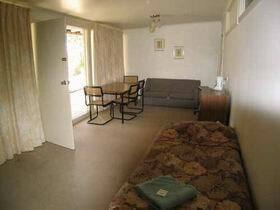 Wi-Fi internet is available to keep in touch with family and friends, and our indoor pool is very welcoming. Pets accepted with conditions. 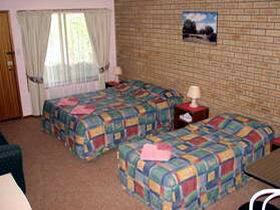 The motel is a great base for exploring the Mount Wudinna and Minnipa granite trails and the Gawler Ranges National Park. The Australian Farmer Granite Sculpture on the highway, standing eight metres high, is not to be missed. 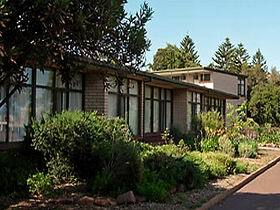 Other facilities include tourism information, national parks passes, a guest laundry, free barbecue, free dump point and easy-access drive through sites. In the town of Wudinna, apart from great country shopping, there is also an excellent children’s playground, along with free to use exercise equipment for adults. 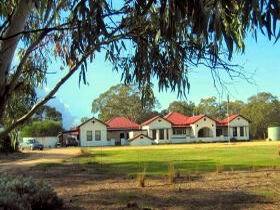 The Gawler Ranges Motel and Caravan Park is a destination, not a stop-over.